Public speaking is amongst the top ten phobias we experience. It doesn’t have to be, as with most things, there are ways to overcome the fear and even excel. These tips will assist you whether it is an in-house meeting of five or a conference presentation for 500. Top tip, know your subject. This may sound very logical, even simplistic, but too many times someone will speak on a subject and they don’t know enough about it. One must always be prepared for questions. An interest in the subject does make it easier. And do your research, you never know what else you may learn. Don’t use jargon, even with a like-minded audience, there may be someone out there who doesn’t understand and may be a critical factor in your goals. If you have to use jargon, explain it or give an example using it. 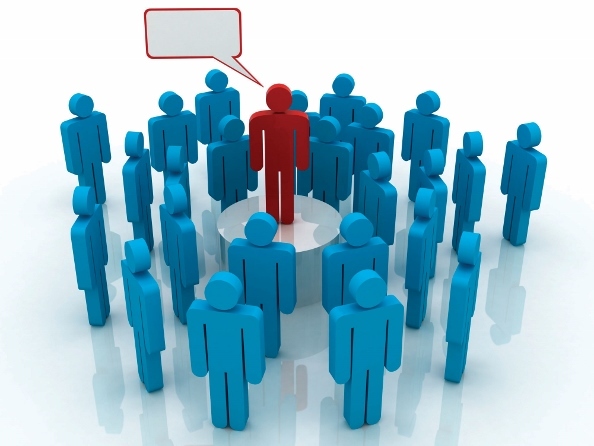 Know your audience and if possible, be familiar with the location where you are speaking. Being able to speak with some of your audience prior to the event will enable you to gauge the mood and it will make you feel you know someone “out there”. Your presentation must have structure, otherwise it is all too easy to ramble and lose the thread, and then you lose your audience. Start with a synopsis, a “teaser”, something which gets your audience’s attention, this will also create a good first impression and you have about thirty seconds in which to do it. There must also be a middle and an end which will wrap up your subject. Practice. If you will be standing on the day, stand and practice out loud, warn your family first, but this is the best way to become comfortable with your speech. Practicing in front of a mirror is a great help, as you can check your posture and body language during the delivery. Practice some more. You can never do enough. The more familiar you are with your material, the more at ease and confident you will be on the day. Immediately before a presentation relax. Easier said than done? No, simple breathing and stretching exercises in a quiet spot will work wonders. Just remember being nervous is not a bad thing, it is natural and can be a benefit when it is under control.